The adventurous journey of the Shawesh brothers began when Mohamed Shawesh founded La Maison Shawish Geneve in 2008, Geneva, Switzerland. The two Shawesh brothers just know what they want out of their company. With 2 combining talents, Mohamed and Majdi Shawesh managed to place their company on the map as manufacturer of the finest gems for the world class clientele. The Shawesh brothers are no strangers when it comes to dealing with gems. Mohamed and Majdi Shawesh are coming from a line of Libyan family that has been involved in the international trade of luxurious and precious stones for generations. La Maison Shawish Geneve loves the challenge of the unthinkable and the impossibility. Their creations and designs will be the out most proof of creativity and craftsmanship. The company is mostly focusing on the explicit wishes and motivations of their clientele. By surrounded themselves with a young team, the spirit and the dynamic of La Maison Shawish Geneve rise to motivate and inspire challenges and innovations. After a year of precision and hard work, it is finally finished and it can be proudly presented to the world. The Shawish's Masterpiece. A Ring created and carved from out one solid faceted Diamond. 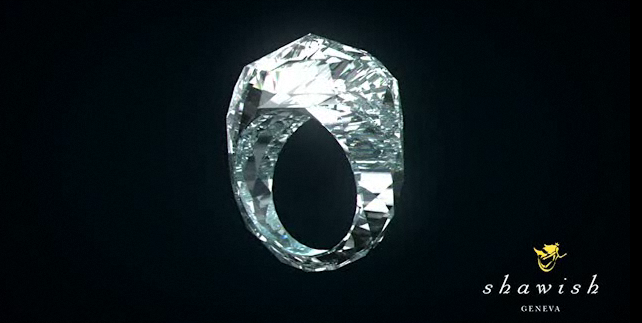 This dazzling and sparkling 150 Carat Masterpiece is setting the world record as the World's First All Diamond Ring. 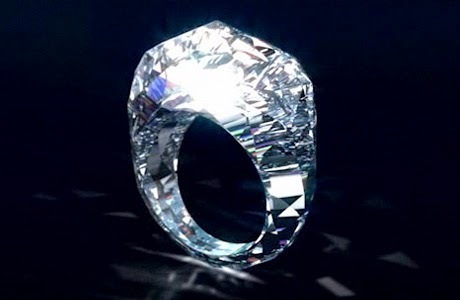 With its value of USD$70 Million, it also becomes the World's Most Expensive Ring. 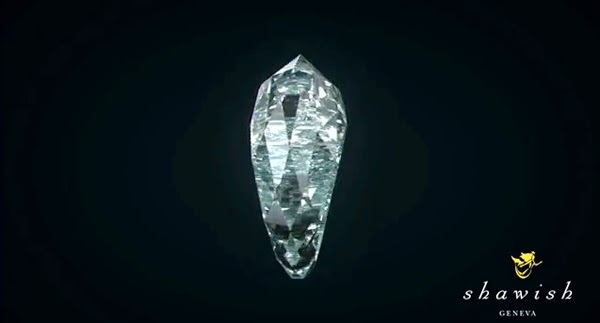 To accomplish this challenge La Maison Shawish Geneve had to purchase a unique laser technology equipment to enable to cut a whole in the middle of the huge rough Diamond. 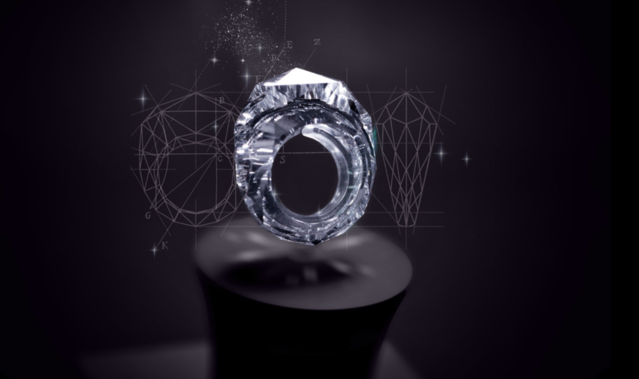 They needed to ensure that the quality of the Diamond will not be suffer from its construction. It was a high risk action to take, because it can be altering the Diamond's molecular structure and the Diamond might lose its sparkle. All the Diamond rings that existed and have been written about like, Elizabeth Taylor's 33,19 Carat Diamond ring, Beyonce's 18 Carat Diamond ring and Kim Kardashian's 20,5 Carat ring, fell well short and out of the league. 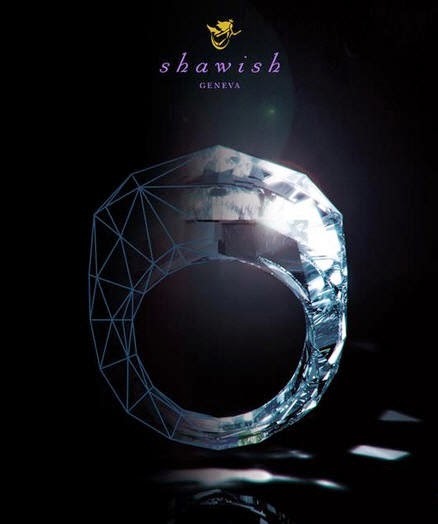 Those rings can not even begin to compete with La Maison Shawish Geneve's unique craftsmanship. 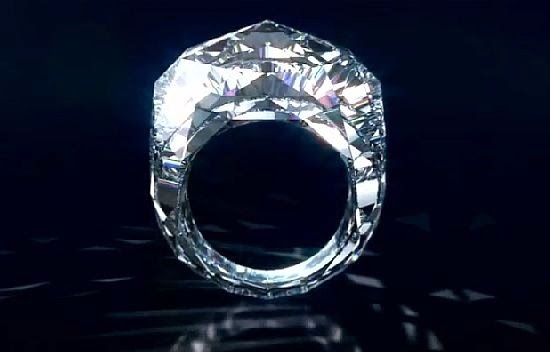 The 150 Carat All Diamond Ring definitely exceeds everything. For the Shawesh brothers the thrilling journey creating the unique Masterpiece has been successfully accomplished.